Last March I went to a presentation at Lyncrest Airport on electric transportation in cars and, more unusually, airplanes. I arrived a bit late and most people had already arrived. 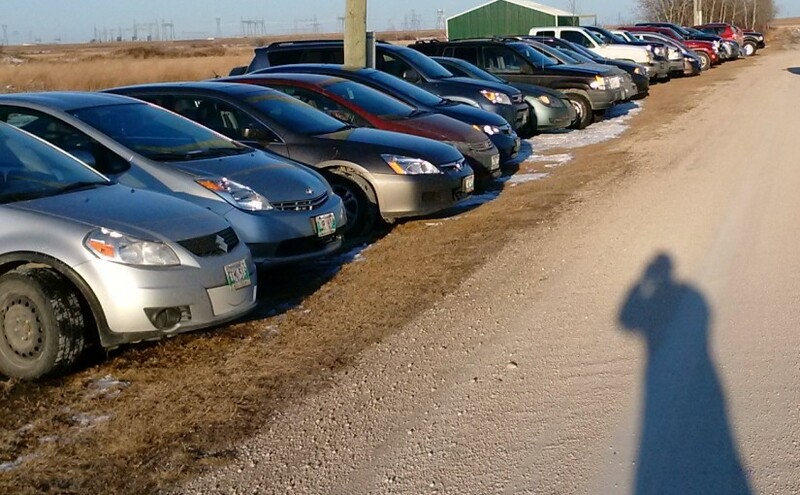 I noticed that an unusually large proportion of vehicles were backed in. I am a big fan of backing into parking spots. You can maneuver in smaller spaces when the steered wheels are able to move rather than being constrained by being already in the narrow spot. You go backwards into the space where not a lot is going on, and when you need to leave and join traffic you are going forward where you can see. I can’t think of any disadvantages. Yet, the majority of people don’t. I don’t really understand that, although I can think of a few snarky comments. It made me wonder what makes this crowd different. I think I asked a few people, but no one else seemed excited about this.